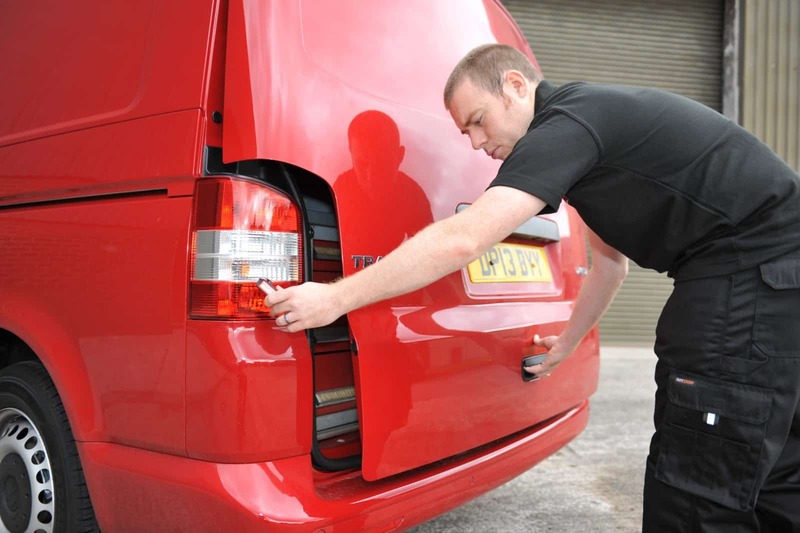 Maple are one of the originators of slamlock technology, having designed and manufactured some of the earliest mechanical slamlocks for panel van side and rear doors. They provide an ideal solution for couriers, multi-drop delivery drivers and any operations where a driver may be regularly in and out of a load area throughout the day. They are designed to combat human error and safeguard against a driver forgetting to lock doors whilst they are away from the vehicle. Slamlocks – or ‘slam locks’ – do exactly what the name implies; once you close your door, it is locked. This makes slamlocks an extremely effective method of securing your vehicle when leaving a vehicle unattended even for the briefest of moments. The Slamlock system is an internally mounted mechanical lock designed to cope with the daily rigors commercial vehicle loading doors experience. 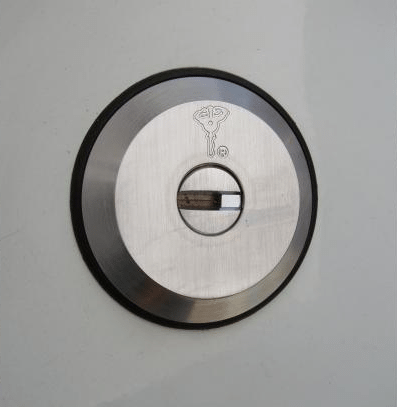 Access to the slam lock is gained through the use of a high security Mul-T-Lock 835 Series Thatcham Accredited profile. Maple’s slamlocks have also been developed and tested in conjunction with major fleet operators for security and corrosion resistance, the easy fit Vanguard Slamlock offers total peace of mind. Integrating with existing central locking systems, the interface upgrades the OE system to ensure that both the side loading doors and rear doors are always locked. In Operation, the driver uses the vehicle remote control to unlock the rear doors. Any door that is not opened within about five seconds re-locks again ensuring that security is maintained against opportunist theft. If a door has been opened it automatically locks the moment it is closed. The upgrade maintains the security built-in to the vehicle locking mechanism and enhances the overall security by ensuring that the load area is always locked. Your drivers will appreciate the convenience of using the vehicle remote control to unlock the load area door, as opposed to using mechanical keys, and you will value the ‘peace of mind’ gained from the knowledge that the load is automatically secured against opportunist theft.